The captain of Ghana National Team has left Gabon a day before the country's first match over captaincy disputes. Reports from the Black Stars camp has it that a heat verbal exchange between the two nearly led to exchange of brawls during the team's dinner. 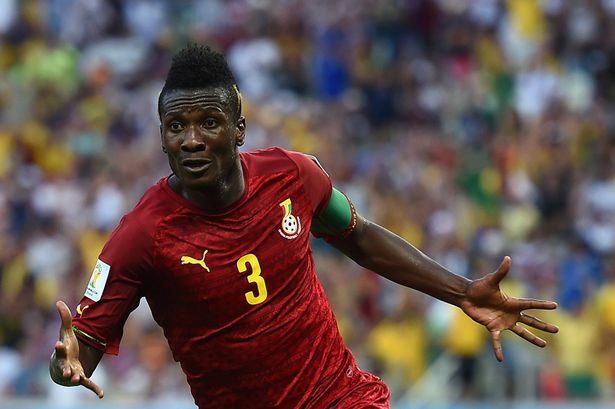 Asamoah Gyan has since left the hotel and airport employees say they saw the Ghanaian striker leaving the country. "I was named as the captain of Black Stars when it reached my turn, so people should wait until my reign is over. "If God doesn't make you a king and you crown yourself king, your reign will be fruitless"
According to reports, Asamoah Gyan said this months ago before the captaincy dispute first arose. The Black Stars will today play Uganda in the ongoing AFCON 2017.